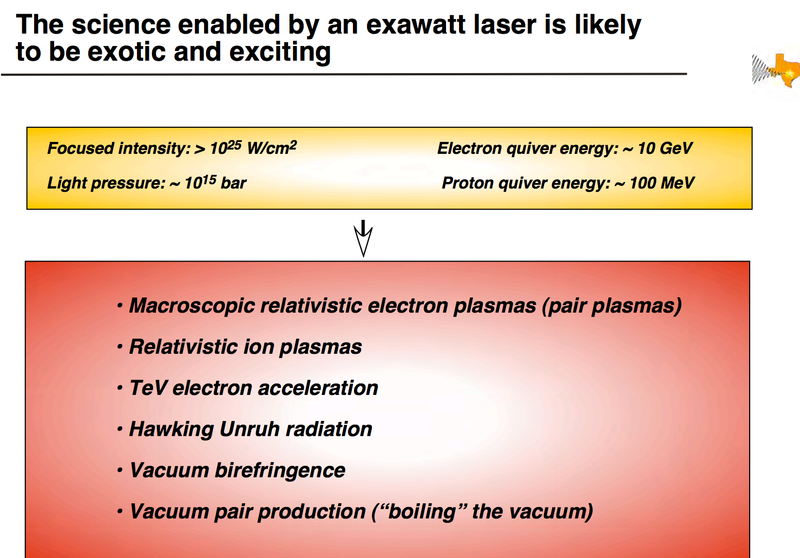 * 100 Petawatt Station for Extreme Light (SEL) at the proposed Shanghai Coherent Light Facility (SCLF). 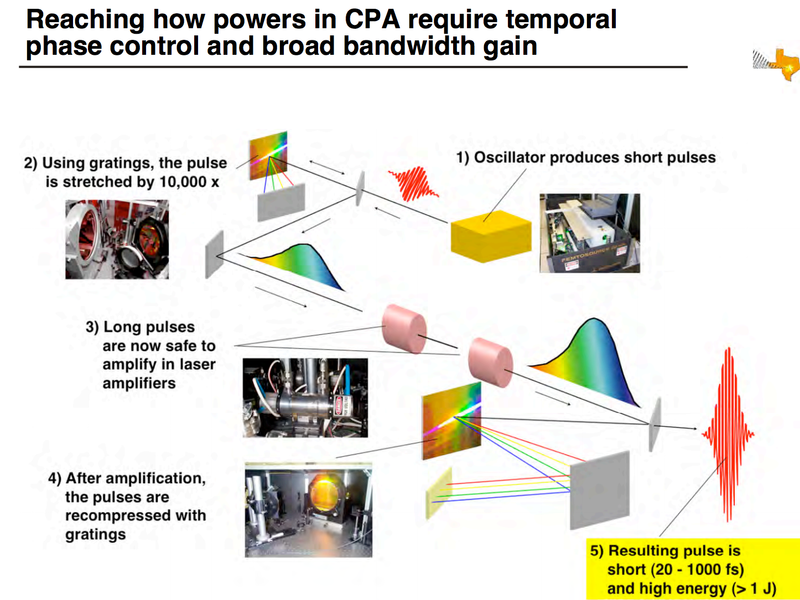 * Lawrence Livermore National Laboratory (LLNL) activated their multi-kJ Advanced Radiographic Capability (ARC) PW scale laser and the PETAL laser at CEA began operations toward the 2-PW level in 2017. 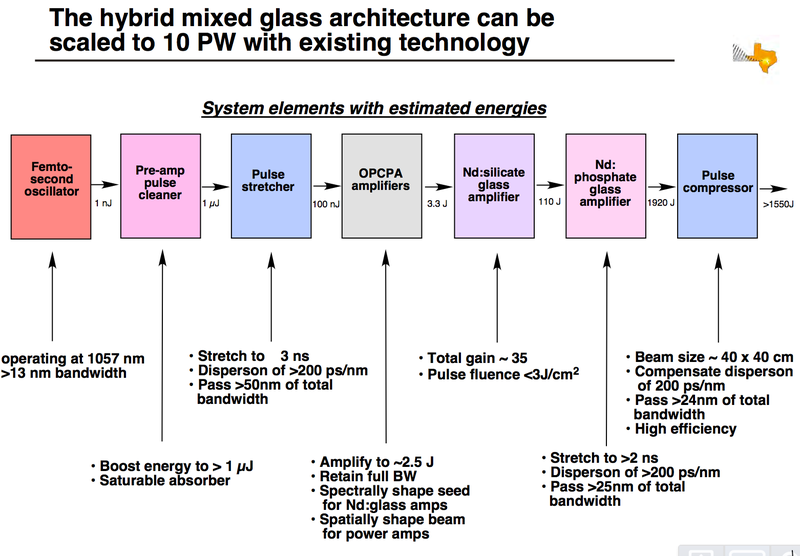 * In South Korea, the Gwangju Institute for Science and Technology is presently commissioning a 4 PW capability that should be available to users in 2017. 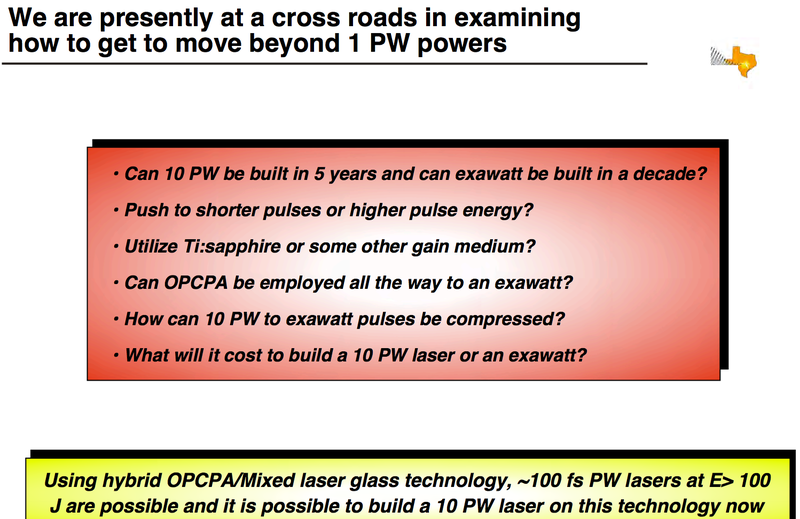 * The University of Rochester’s Laboratory for Laser Energetics continues to work on the OPAL multi-phase laser initiative that could evolve from 5-PW to 75-PW capability. 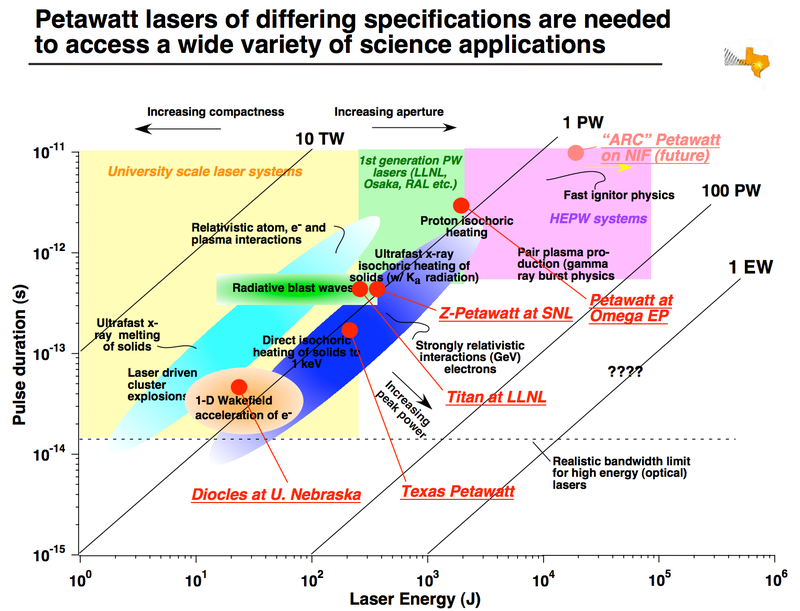 * European ESFRI roadmap project, the Extreme Light Infrastructure (ELI), consisting of ELI-Beamlines (Czech Republic), ELI-Nuclear Physics (Romania), and ELI-ALPS (Hungary), is rapidly approaching initial operations. 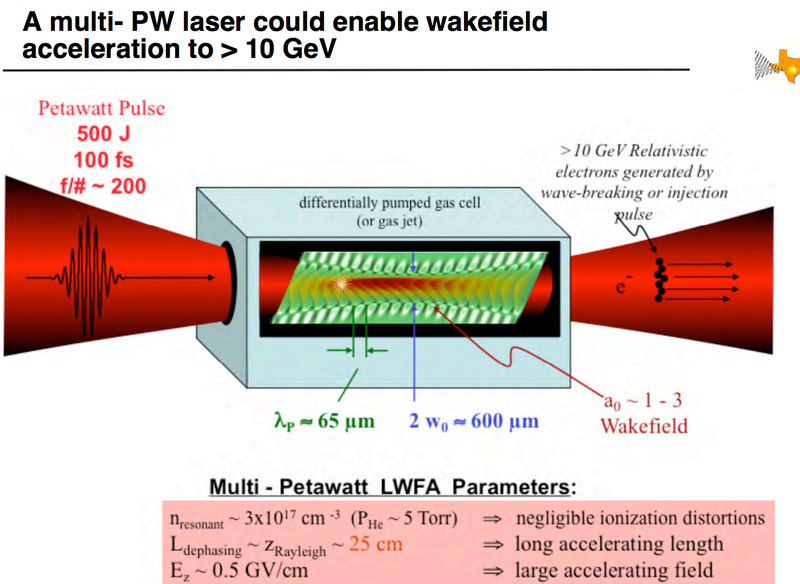 ICUIL and ICFA (International Committee for Future Accelerators), another arm of the IUPAP Working Groups, are now jointly promoting the development of efficient, highpower, laser technology to enable laser-driven wakefield acceleration for future high energy accelerators. 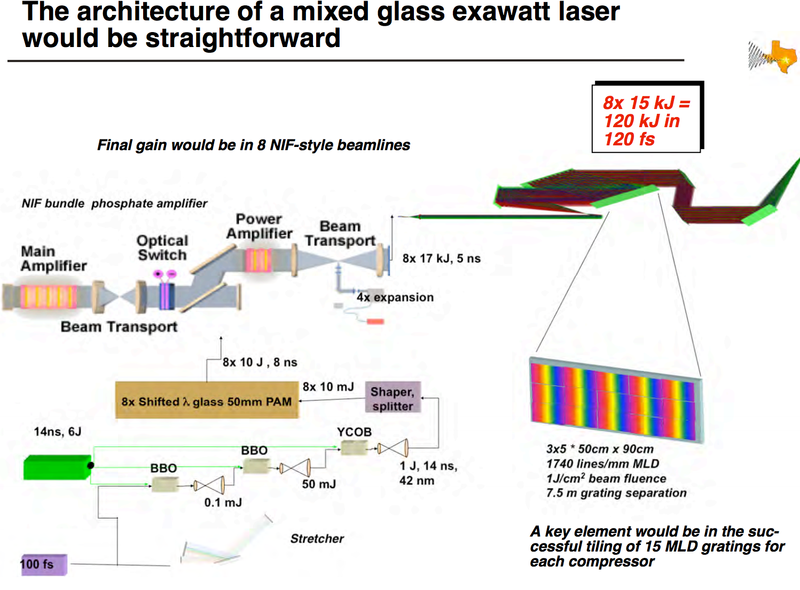 The Shanghai Coherent Light Facility (SCLF) is a newly proposed high repetition-rate X-ray FEL facility, based on an 8-GeV CW superconducting RF linac. It will be located at Zhangjiang High-tech Park, close to the SSRF campus in Shanghai, at the depth of ~38 meter underground and with a total length of 3.1 km. 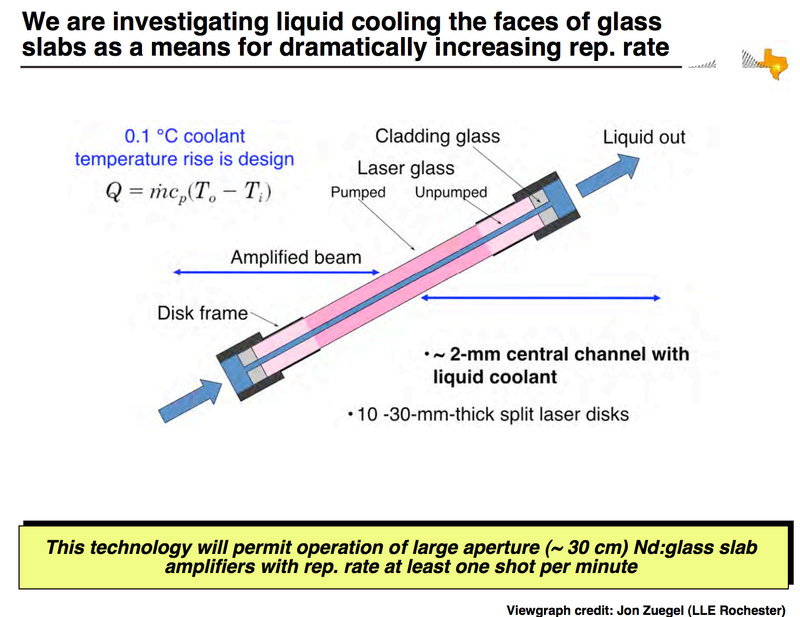 Using 3 phase-I undulator lines, the SCLF aims at generating X-rays between 0.4 and 25 keV at rates up to 1MHz. This paper describes the design concepts of this hard X-ray user facility. 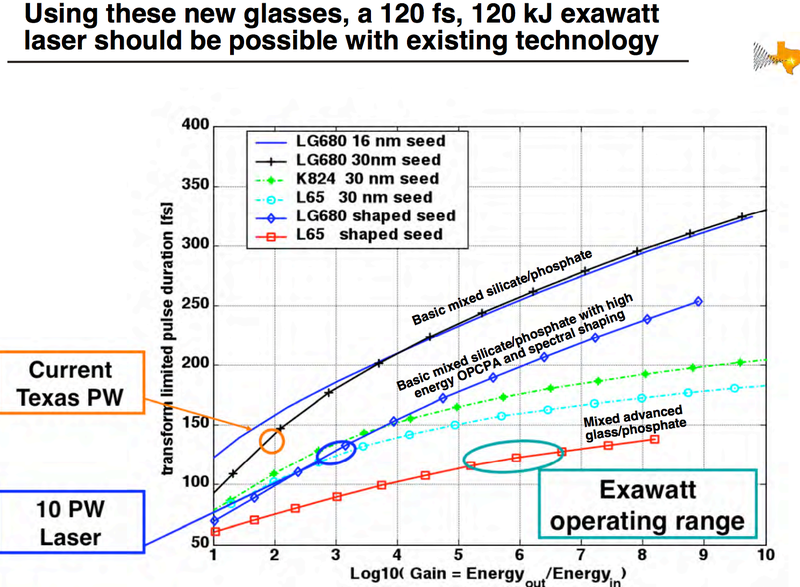 We are currently witnessing a rapid progress in X-ray free electron laser (XFEL) development across the globe, among which the superconducting RF (SCRF) linac based high-repetition-rate XFELs are leading ones. European XFEL  achieved its first lasing in early May 2017, and started operational phase in early July 2017. The LCLS-II  construction is now under way, and is scheduled to become operational in 2020. 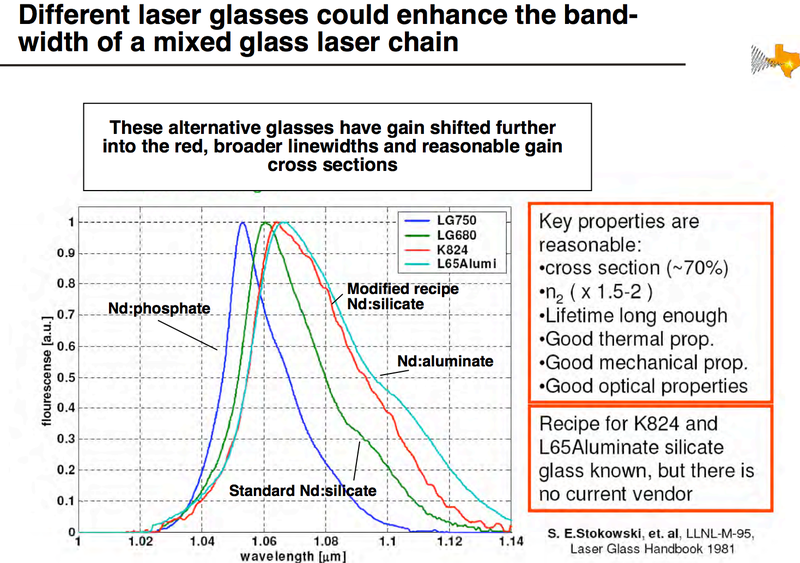 An energy upgrade proposal to LCLS-II, the LCLS-II-HE project, has also been initiated . 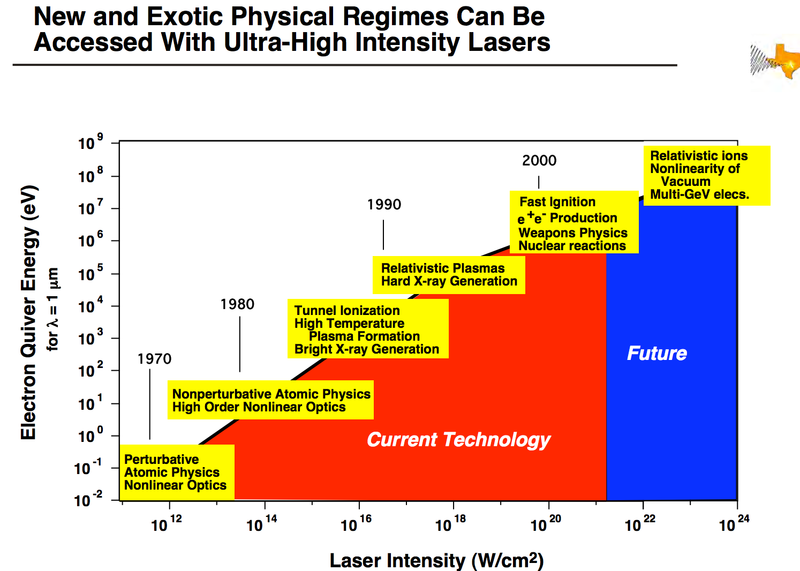 Considering this international context, and in response to the rapidly growing demands from Chinese science community on the high peak and high average brightness X-ray sources, and the needs from Zhangjiang Comprehensive National Science Center in Shanghai, a high repetition-rate XFEL, the Shanghai Coherent Light Facility (SCLF), was proposed. 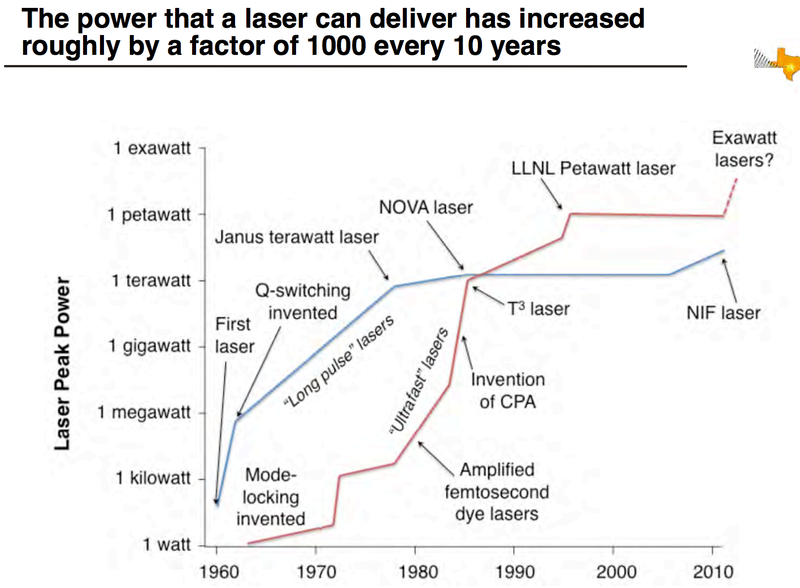 In 2017, ten petawatt lasers were fired. 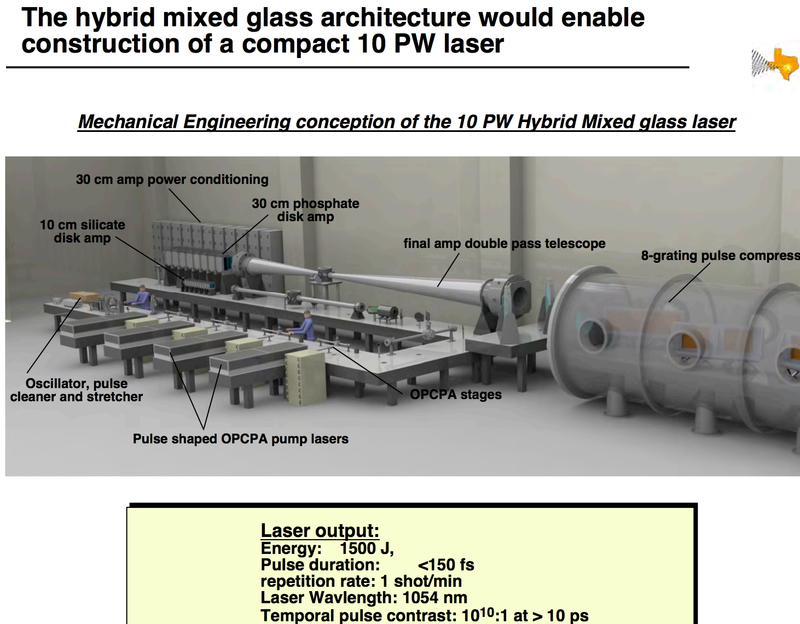 In 2017, there was work by the startup HB11 Energy to commercial nuclear fusion with lasers taht generate 10 kilotesla fields.